​​​​​​​As you probably already know, pets are not keen on eating some of the same foods as humans are. Even if they seem to lap up some of the items on the list without skipping a beat, rest assured they are not going to fare well over time if they continue eating potentially toxic food items. To make sure you know what you’re looking for, let’s take a look 10 foods to keep away from your pet at all costs. It can mean the difference between illness and wellbeing. Just as it is with all pet health concerns, if you suspect your pet has ingested any of the following, contact your vet immediately. These are all incredibly toxic substances for pets and can permanently damage your pet’s health if left unattended. Every pet owner has heard about the hazardous impact that chocolate can have on a pet’s health. This is due to a chemical compound in the same family as caffeine, called theobromine. The darker the chocolate, the more problematic. A single ounce of baker’s chocolate can pose a serious health risk to a small dog, whereas a similar quantity of milk chocolate may only cause mild discomfort, diarrhea, or vomiting. Salt is not something that your pet does well with. At best it can cause severe dehydration, at worst ion poisoning and even death. If you like snacking on salty foods, make sure to keep them well away from curious compadres. You are doing them no favors by caving in to their begging eyes. If alcohol can render a 250-pound man into a slobbering, hung-over, incohesive mess, imagine what this could do to your pet. Yes, alcohol is especially toxic to pets and can have serious systemic health effects if consumed, including coma and death. The smaller the dog, the more you need to be careful. One of the reasons it’s rarely safe to feed a dog food scraps is the commonality of onions and garlic in our ingredients. Although these staples are in so many of our human dishes, they are totally toxic to pets. The compounds in these foods destroy the red blood cells in dogs causing anemia, among other issues. Xylitol is a common sugar substitute found in a wide variety of sugary treats, toothpaste, and processed foods. When consumed by a pet it can instantly spike blood insulin levels that can lead to potentially life-threatening liver failure. For reasons still largely unknown by the scientific community, raisins and grapes pose a serious health risk to dogs. They are a leading cause of kidney failure and can create problems in even small amounts. Grape toxicity can be noticed within 24-hours through unusual amounts of vomiting. Raw salmon can contain a particularly aggressive parasite that can harm your pet’s health. Once it’s taken hold, this pesky parasite can claim the life of your pooch in less than two weeks if left untreated. Chicken bones are hazardous to pets due to the fragile nature of their fragmenting structure. Rather than harming your pet with chemicals or parasites, chicken bones cause physical tears, punctures, and intestinal distress. Avoiding splintery chicken bones altogether is the best bet. People all over the world can be found gorging on guacamole with little more than a stomach ache if too much is consumed. For your pet, on the other hand, every aspect of the avocado is toxic – from roots to fruits. Although large amounts are required to cause serious issues, avoidance is best. Don’t let the characteristic sweetness of a juicy peach fool you. Pets can experience cyanide poisoning when consuming too many of these cyanide-laced fruiting tricksters. The pits are especially toxic so avoid allowing them access at all costs. When you take note of these 10 foods to keep away from your pet, you are helping them to avoid accidents. If you suspect that your pet has consumed a toxic substance, please contact our Las Vegas, NV office and reach out to us immediately. The sooner you address the issue, the better you are able to avoid a potentially serious health situation for your pet. Behavior ‘problems’ are often misunderstood and mishandled by pet parents. Often, these problems are natural behaviors that require just a bit of training – both by you and a professional pet trainer. When your pet is always making noise, chewing on things, jumping up, or biting unsuspecting company, there is no real cause for concern. Pets are averse to swallowing medications making the post care process more complicated. To avoid a breakdown in trust between you and your pet, let’s cover how to give your pet medication when they need it the most. Flamingo Pet Clinic shares a list of fatal food to keep in mind for your pet's safety. To learn more, call 702-903-3200 today! If you would like further pet wellness advice on how to keep your outdoor pets warm this holiday season, call Flamingo Pet Clinic at 702-903-3200 today! How Can you Tell When Your Pet is in Pain? Flamingo Pet Clinic shares some factors on how you can know whether your pet is in pain. Call 702-903-3200 to know more. Flamingo Pet Clinic shares a guide to what to know before you board your pet. To know more, give us a call at 702-903-3200 today! How Can I be Prepared for a Pet Emergency? Flamingo Pet Clinic shares some guidelines on how to prepare during a pet emergency. To know more, give us a call at 702-903-3200 today! Know some of the summer treats you can make that your pets would surely love. Call us at 702-903-3200 to learn more. There are many human snacks that are considered fairly healthy for dogs provided they are given in controlled quantities. Know more about it here. Know the guidelines on the immediate actions to take when your pet is having a seizure. Contact Flamingo Pet Clinic at 702-903-3200 for details. New pet owners sometimes find it difficult to keep their dog well groomed, know the grooming tips to save time and money at Flamingo Pet Clinic. Are Dental Cleanings Important in Dogs? Keeping your dog’s teeth healthy is a vitally important part of her care. Know the importance of pet dental cleanings at Flamingo Pet Clinic. How Do I Potty Train a Puppy? Potty training your puppy will almost certainly be one of your biggest priorities when it comes to its care. Learn the guidelines here at Flamingo Pet Clinic. Call 702-903-3200 for details. Learn more about dental radiographs and why it is important to the health of your furbaby. For inquiries, contact us at 702-903-3200. Cats and Dogs are not the only household pets that Flamingo Pet Clinic caters to. We also care for your rabbit and other small mammal furry friends. Contact us at 702-903-3200 for more details. Learn guidelines on how to take care of your furry friends during the winter season. Contact Flamingo Pet Clinic at 702-903-3200 for details. Learn the signs and symptoms of your dog having allergic reactions and guidelines on how to prevent them by Flamingo Pet Clinic. It is a necessity to know if your pet companion has allergies. Learn more about how to avoid it today with Flamingo Pet Clinic. Contact 702-903-3200 for details. It is important to take your cat for a walk. Learn about your feline's health and more here by Flamingo Pet Clinic. Contact 702-903-3200 for details. Thinking about getting a pet bird? The experienced vets at Flamingo Pet Clinic explain how you can prepare to get a pet bird. Contact Flamingo Pet Clinic at 702-903-3200 for details. Choosing the right dog food for your pet requires careful consideration and assessment of your pet. 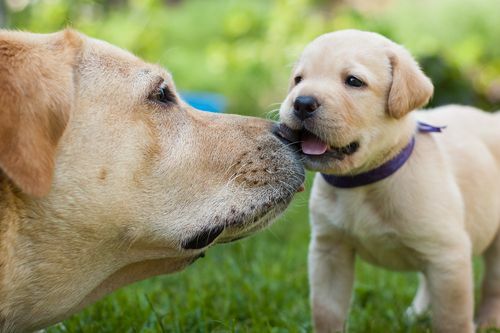 Learn these useful tips to determine the right kind for your dog. Ever wonder what you can do to help your cat get rid of hairballs? Read about it here! Contact Flamingo Pet Clinic at 702-903-3200 for details. There are a number of reasons as to why your cat is vomitting, some worse than others. Find out some of the reasons and its prevention at Flamingo Pet Clinic. Choosing what food to feed your pet can be fairly tricky, but is something every pet owner should have dialed in. Learn some tips and misconceptions about pet food here! Flea and Tick Prevention should be at the top of your list for your furry friend! Contact Flamingo Pet Clinic at 702-903-3200 for an appointment. Regular visits to your veterinarian can help keep your pet healthy and happy. Contact Flamingo Pet Clinic at 702-903-3200 today! Some pets adapt to the cold weather better than others. Many exotic pets need special treatment and preparation, learn about some of these here. Call 702-903-3200 for details. Dog Bloat can be a very painful thing to happen to your dog. Learn about the symptoms, treatments and prevention methods at Flamingo Pet Clinic. Call 702-903-3200 for details. If you are looking to get a Dachshund, read this article about some of the breed specific considerations you will need to know before having him/her join the family! Dogs are highly intelligent and fun-loving animals, and this means that there is a wide-range of activities that they can participate in and enjoy. Call 702-903-3200 for details. Your pet could be a victim of allergies too. What starts as seasonal allergies can sometimes turn into year-round suffering. Call Flamingo Pet Clinic at 702-903-3200 for details.